Citrusy, tangy and a little salty (if you like it that way), the margarita is a staple summer cocktail. But it’s not the only drink that fits that flavor profile. Here, more great bright and vibrant tequila cocktails for margarita obsessives looking to try something new. Tequila, lime, cucumber and basil are a refreshing, slightly savory combination in this delicious cocktail. This spiced, grapefruit cocktail is spectacular with spicy foods. Big grains of salt rim many a margarita glass. But as this cocktail proves, a pinch of salt can add complexity to sophisticated bittersweet drinks. Tamarind concentrate gives this drink a funky fruitiness. A perfect warm weather drink, this cocktail is made with crushed mint, lime juice, sugar, tequila and club soda. This limey, spicy, salty tequila cocktail is a great Sunday-brunch drink (hence the name). Chambord gives this drink a rich sweetness and beautiful red-purple hue. 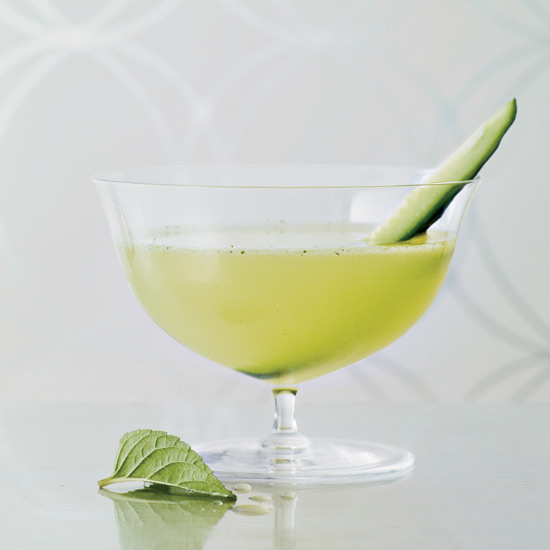 Rosemary makes this drink fantastically aromatic; cucumber makes it incredibly refreshing.